WASHINGTON (AP) — Nick Ayers could almost be confused for a college fraternity brother as he flashes a broad grin in a selfie taken with Mike Pence just moments after the Indiana governor was named Donald Trump’s running mate. In fact, the baby-faced campaign strategist in the white undershirt had a pivotal role in Trump’s selection of Pence in 2016. And two years later, Ayers’ bond with Pence is stronger than ever, as are his ties to the president. A seasoned campaign veteran at age 36, Ayers is emerging as a leading contender to replace White House chief of staff John Kelly, whose departure has long been the subject of speculation. If selected, Ayers would return a political mind to the role as Trump’s presidency enters a new, more perilous phase in which he fights for re-election while fending off new oversight efforts from a Democratic House. In any administration, the role of White House chief of staff is split between the responsibilities of supervising the White House and managing the man sitting in the Oval Office. Striking that balance in the turbulent times of Donald Trump has bedeviled both Kelly and his predecessor, Reince Priebus. If Ayers becomes the third person to tackle the job, it’ll be his most significant challenge — and one friends say he’s well-equipped to handle. 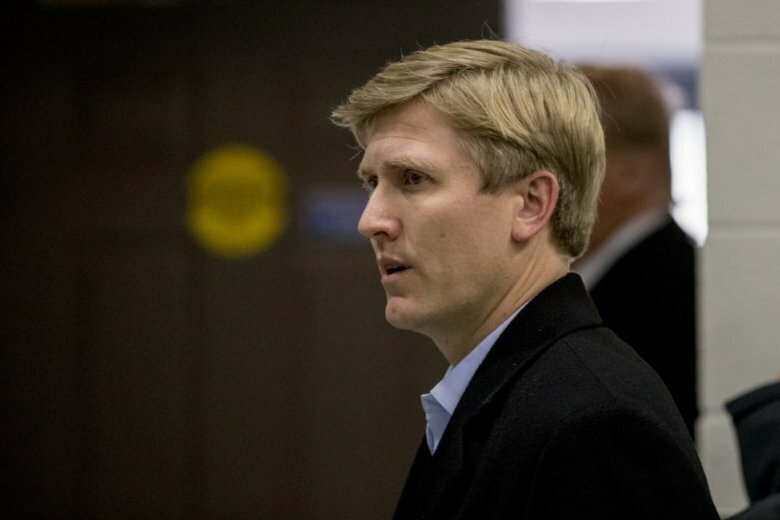 “He manages up as well as anyone I’ve ever seen,” said Phil Cox, a former colleague at the Republican Governor’s Association who bought Ayers’ political consulting business earlier this year. Trump is said to have warmed to Ayers in part by watching the effectiveness of Pence’s largely independent political operation. The vice president’s chief of staff for the last 18 months, Ayers has earned the backing of Ivanka Trump and Jared Kushner, the president’s daughter and son-in-law and senior advisers, for taking on the new role, White House officials said. Ayers would be the youngest chief of staff since 34-year-old Hamilton Jordan served under Jimmy Carter. But before Ayers can have his crack at leading the White House staff, he first has to overcome opposition from some who may soon work for him. On Air Force One on Sunday as Trump returned to the U.S. from a turbulent two-day trip to Paris, aides argued to the president that Ayers was the wrong person for the job, according to two people familiar with the matter. More than a half-dozen administration aides spoke about Ayers on condition of anonymity to discuss the sensitive personnel matter. Ayers, a former aide to agriculture secretary and former Georgia Gov. Sonny Perdue, is blamed by some in the White House for orchestrating the president’s endorsement of the state’s Secretary of State Brian Kemp for governor, a Perdue ally whom they believe wasn’t the strongest candidate in the GOP primary. Republicans spent millions and deployed the president to defend the red state seat against a strong challenge from Democrat Stacey Abrams. Kemp holds a slight lead over Abrams and the Election Night results have yet to be certified. Ayers didn’t respond to a request for an interview. But allies said he is eager to take on the chief of staff job. He and Trump have been discussing the possibility of making the switch for months. A Georgia native with a distinct southern twang, Ayers is the father of young triplets. His meteoric rise in GOP politics included a successful stint at the Republican Governors Association, time as campaign manager for Tim Pawlenty’s failed White House bid and a political consultant work for dozens of high profile Republicans across the country — including Pence. “It didn’t seem to matter what he gets involved in, he immediately becomes incredibly valuable,” said Cox. During the 2016 campaign, Ayers was seen as a Pence loyalist who also managed to have a good rapport with Trump’s insular campaign team. Before he joined the administration, Ayers was among the founders of the pro-Trump political group America First Policies, which works in concert with Pence’s political operation. Allies said that while Ayers isn’t as deeply versed in foreign policy as some of his predecessors, he had developed experience advising Pence on global affairs. He has been a frequent participant in Trump’s daily intelligence briefings, occasionally even when Pence wasn’t present. The timing of Kelly’s expected departure isn’t clear, though White House aides predict it will occur in tandem with the anticipated exit of Homeland Security Secretary Kirstjen Nielsen in the coming months.